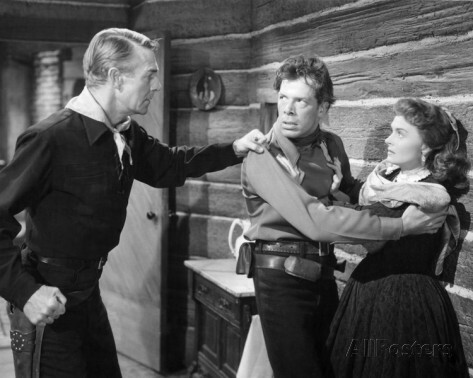 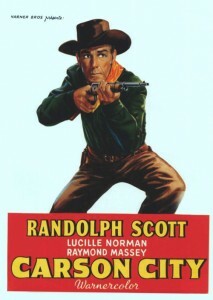 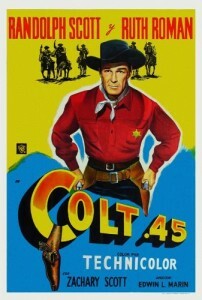 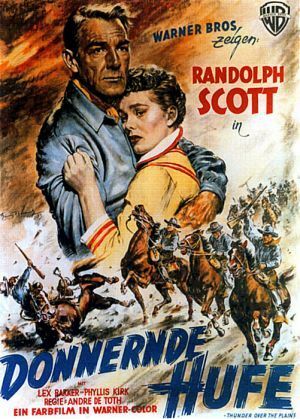 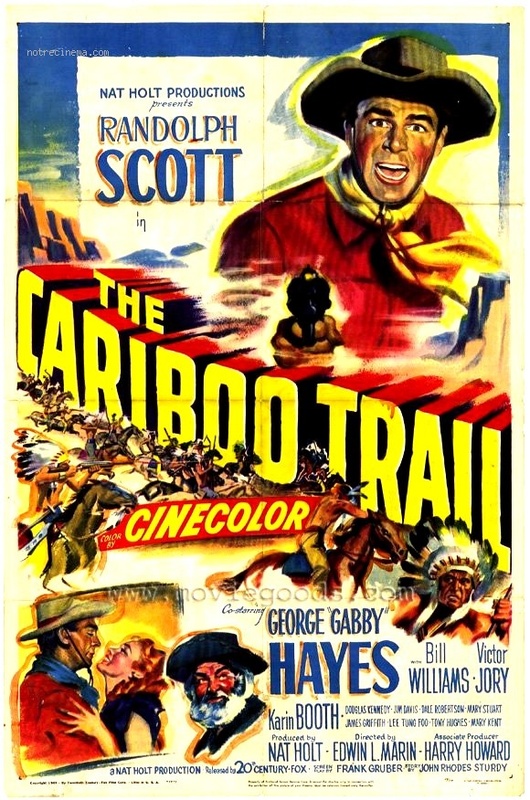 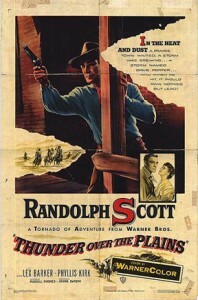 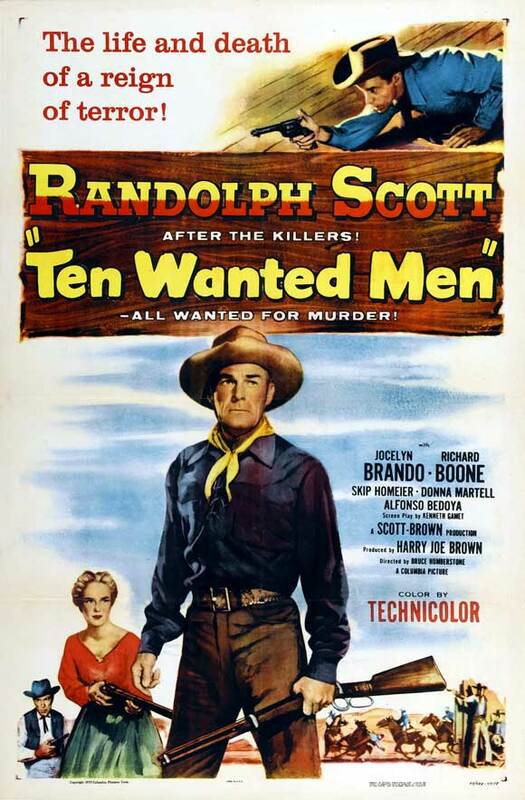 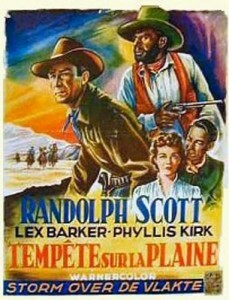 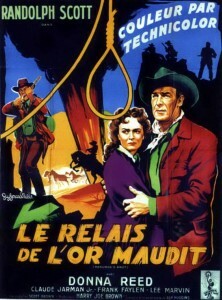 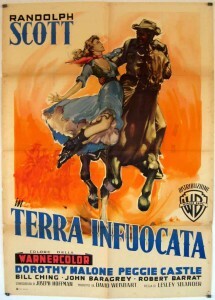 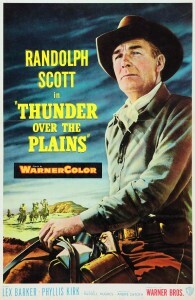 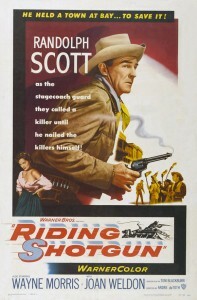 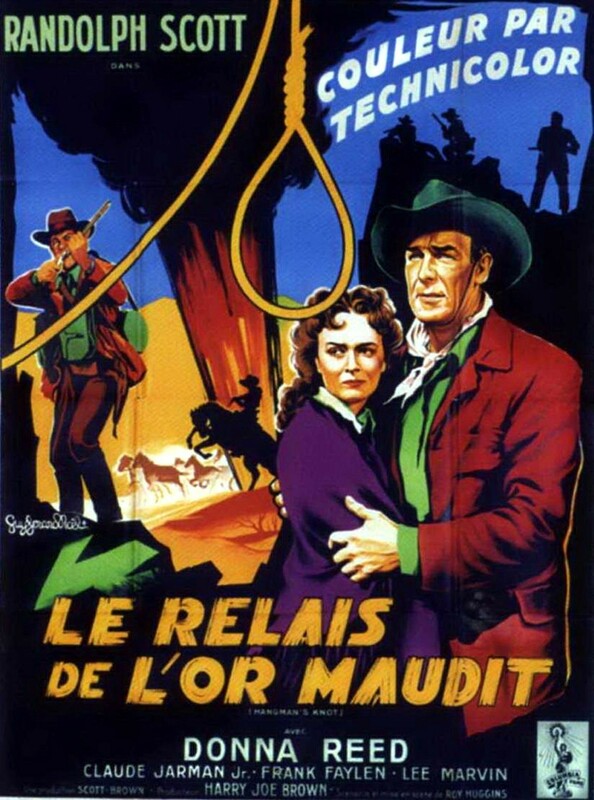 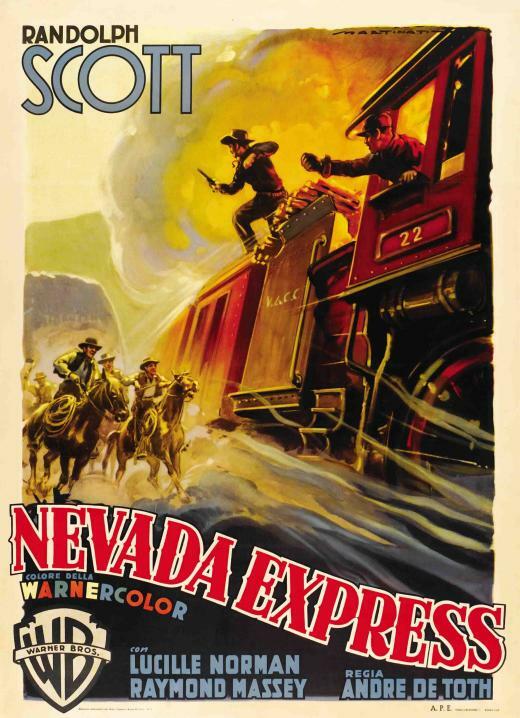 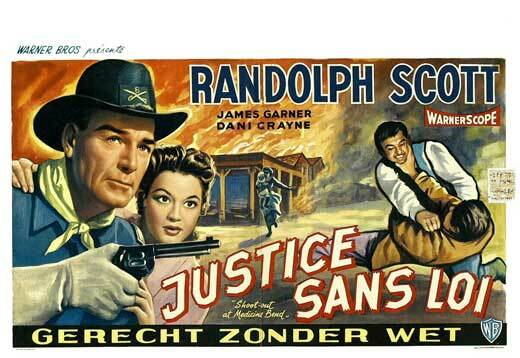 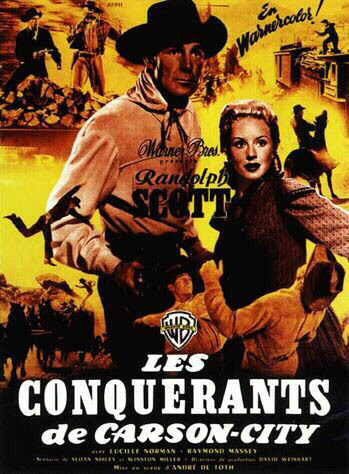 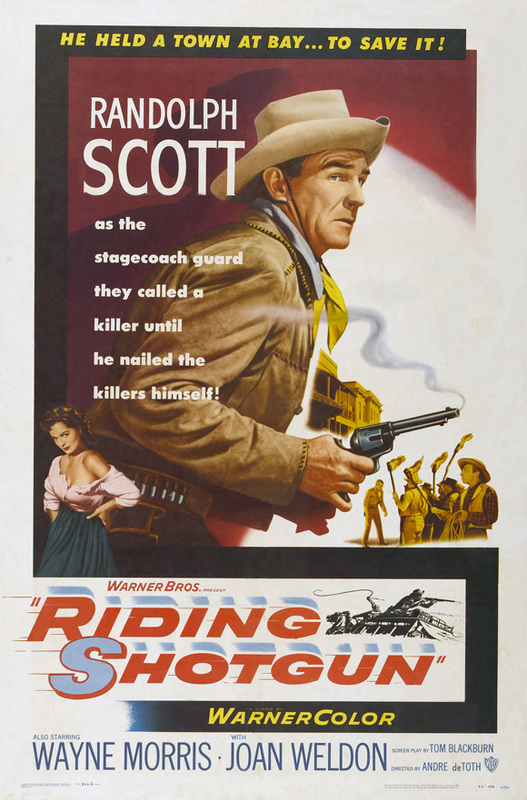 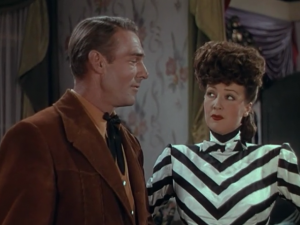 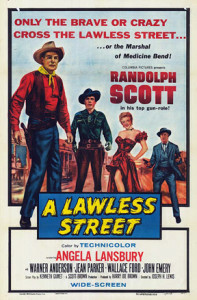 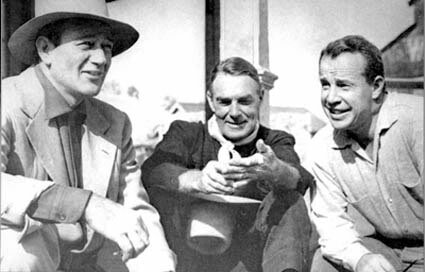 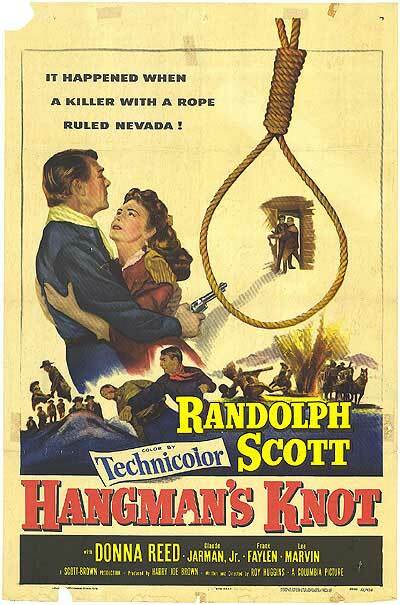 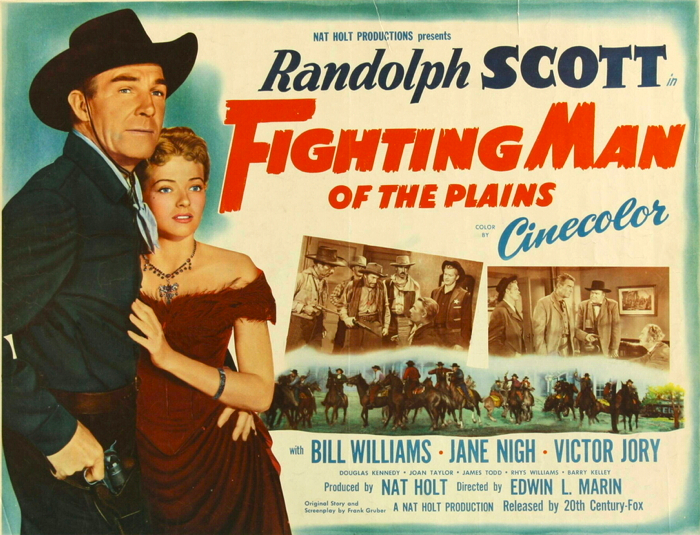 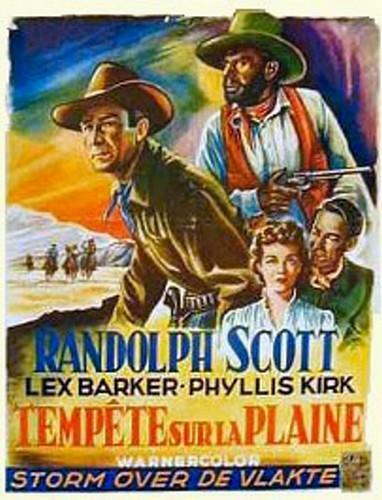 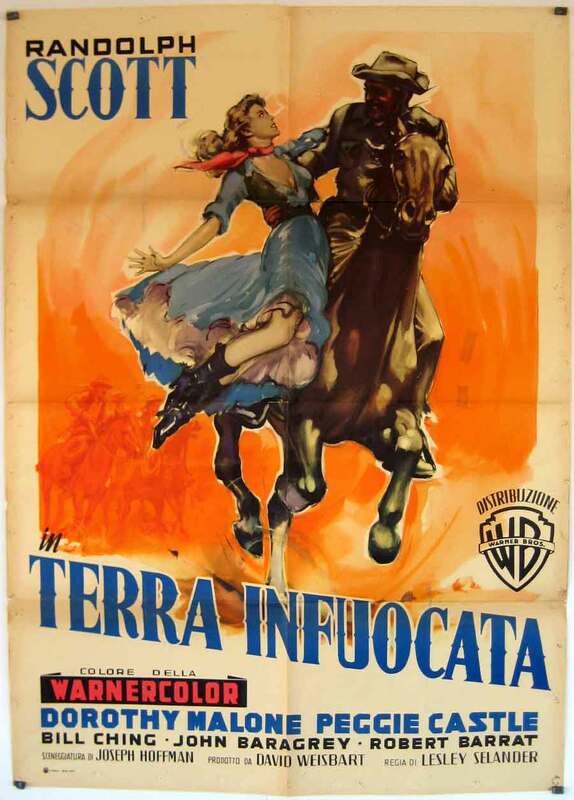 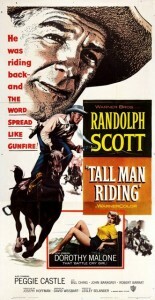 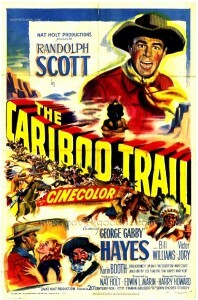 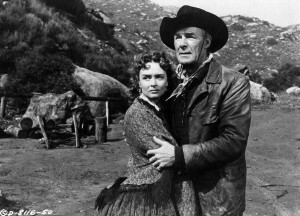 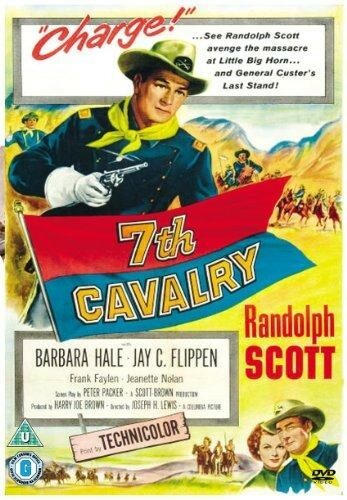 Made about the same time as the first of the Bud Boetticher-Ranown westerns, this stars Randolph Scott as Larry Madden returning to Montana. 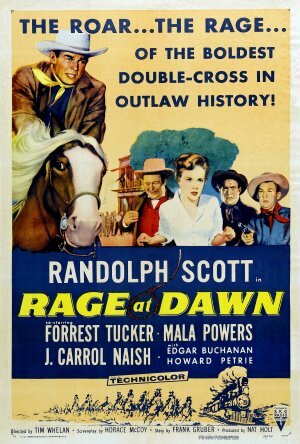 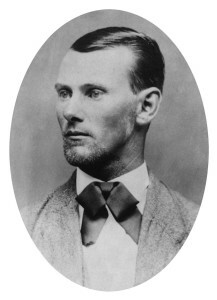 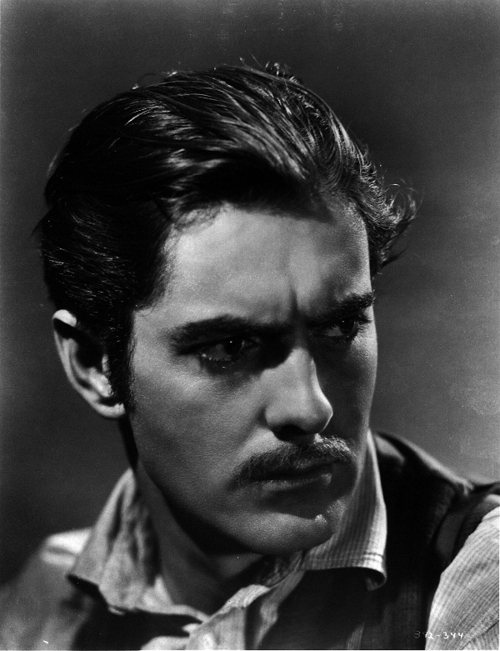 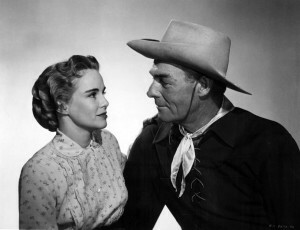 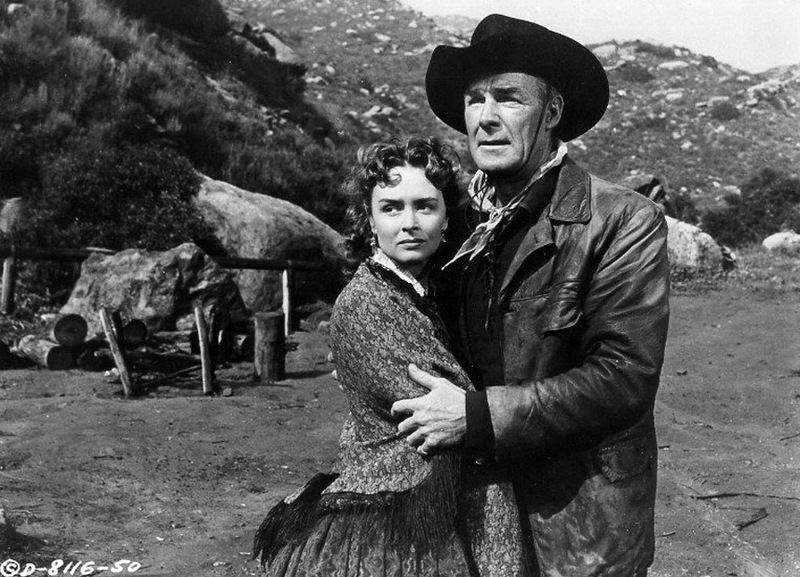 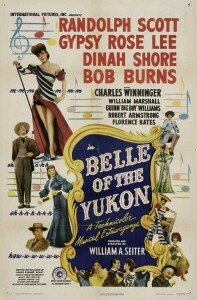 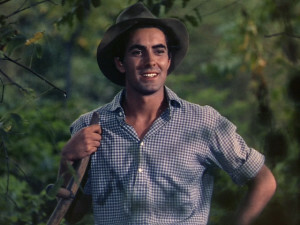 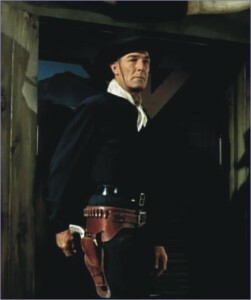 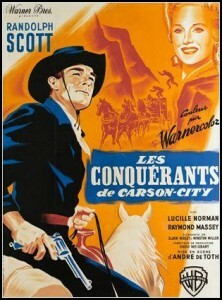 Madden, a one-time small rancher, is returning not only to Montana but to the valley from which he had earlier been driven out by Tuck Ordway (Robert Barrat), owner of the Warbonnet Ranch, the largest spread in the valley, for daring to romance Ordway’s daughter Corinna (Dorothy Malone). 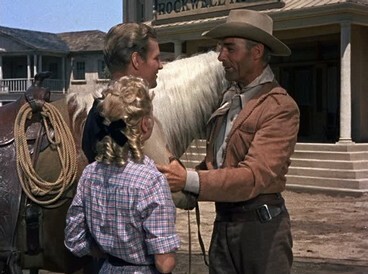 His back still bears the whip scars from that occasion. 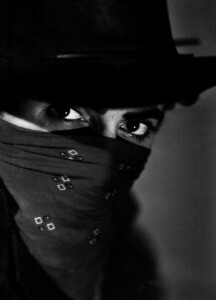 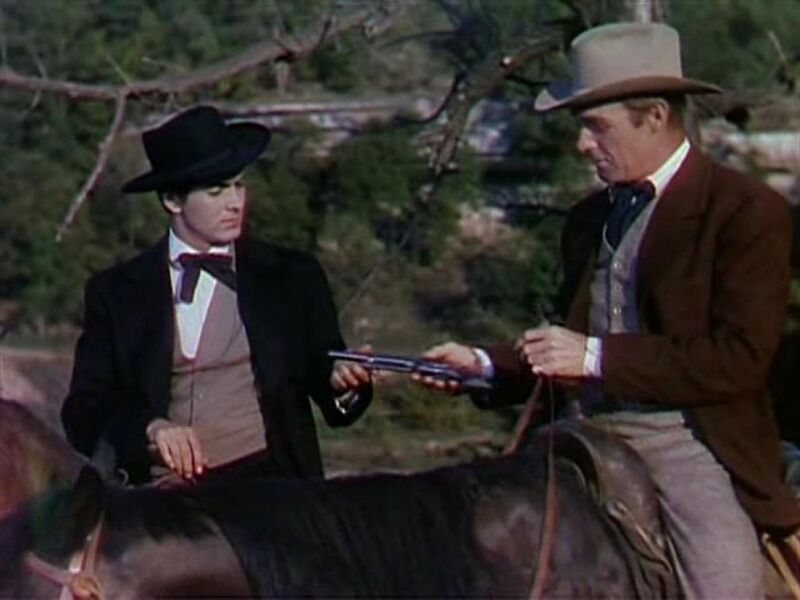 On riding into the valley Madden rescues a well-dressed man being pursued by three gunmen. Only when the rescue is complete does he discover that the rescued man (William Ching) is the husband Corinna has acquired since Madden’s departure five years before. 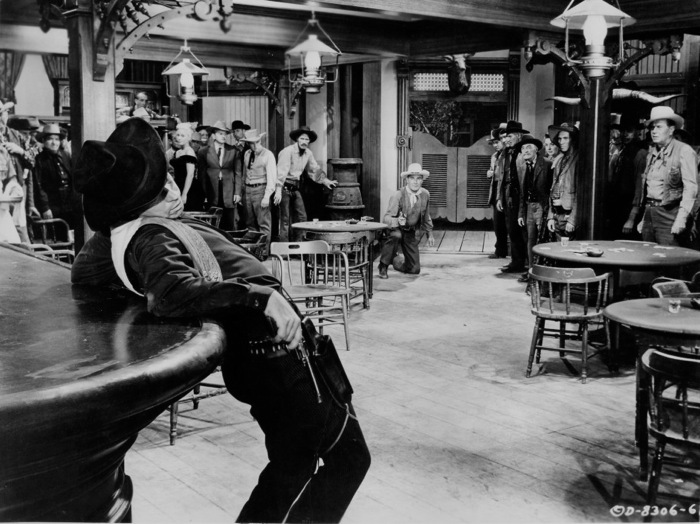 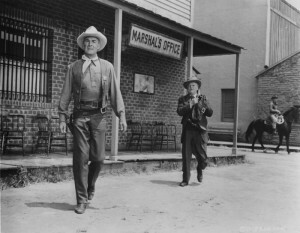 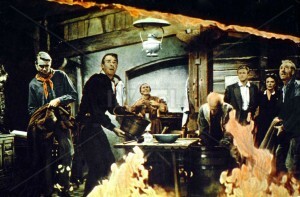 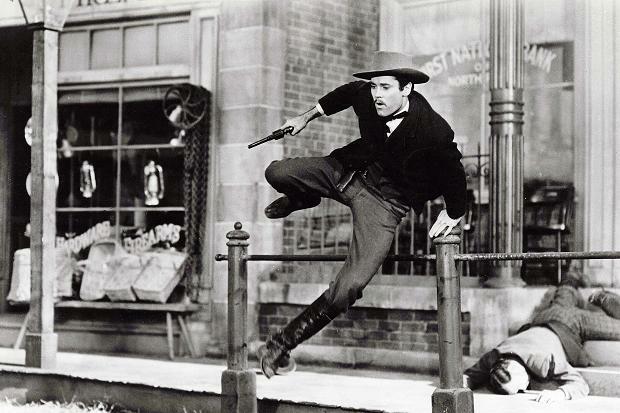 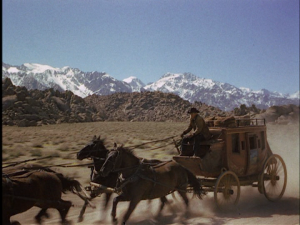 Riding on into town, Madden ventures into the saloon owned by Cibo Pearlo (John Baragrey; his character claims to be “pure Castilian”). 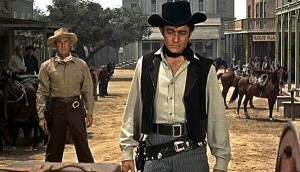 Pearlo received the same treatment from Ordway as Madden, but Madden doesn’t like him any better than he likes Ordway. 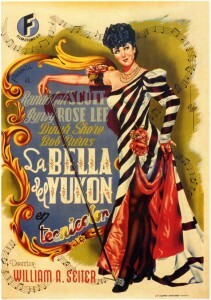 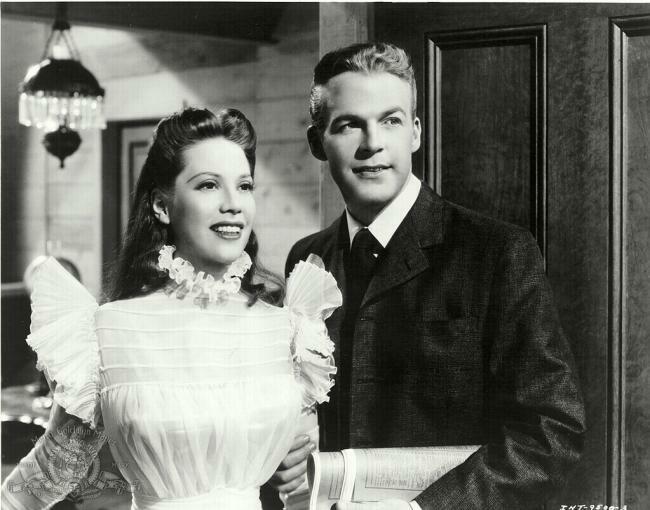 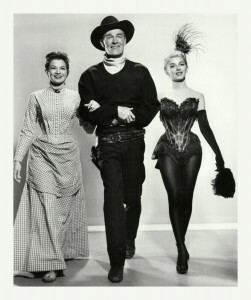 Pearlo’s girlfriend Reva (Peggie Castle) is the singer in the saloon and a friend of Corinna. 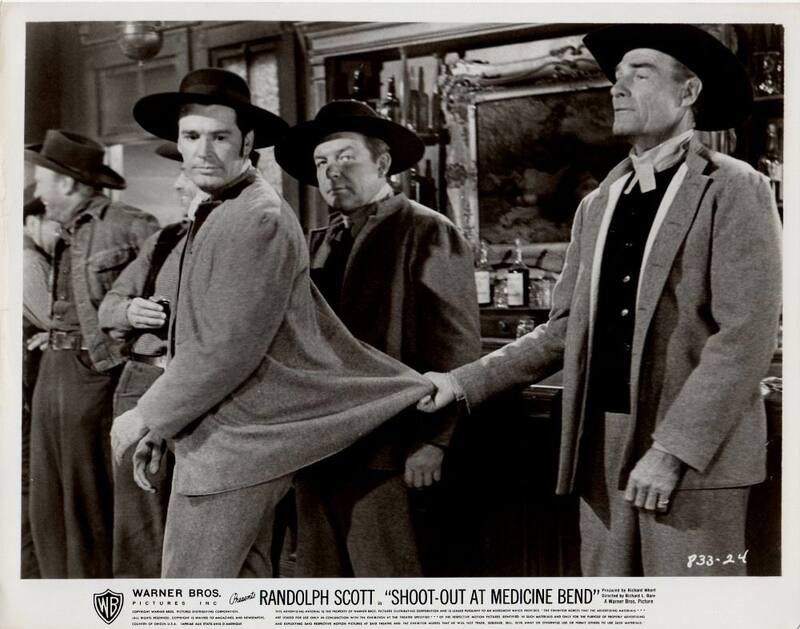 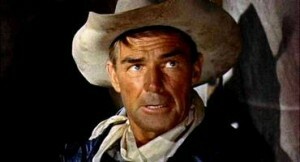 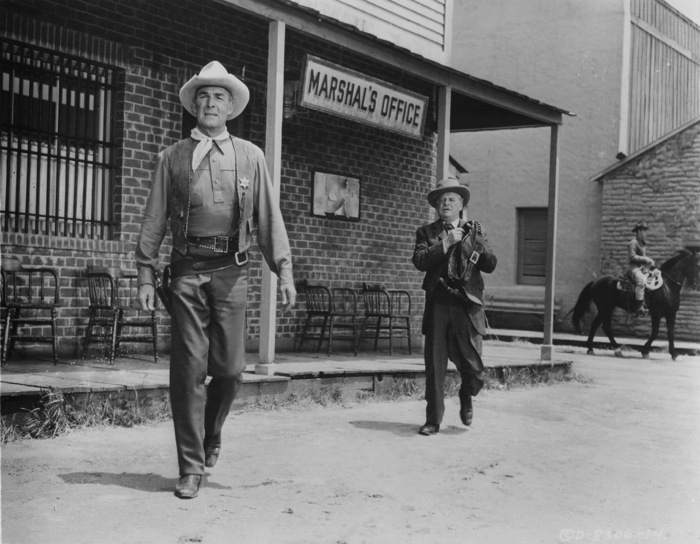 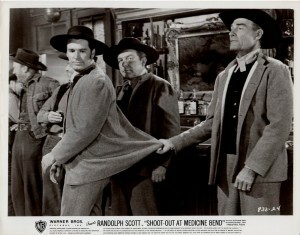 Madden (Randolph Scott) calls out the Peso Kid (Paul Richards). 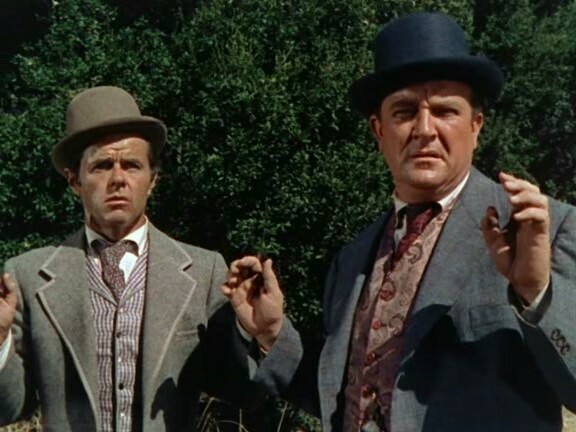 By the end, Corinna’s husband has been killed, as has Reva (probably), Pearlo and Madden’s corrupt lawyer Luddington (John Dehner), as well as Pearlo’s Mexican gunman the Peso Kid. Ordway’s land titles are invalid, and there’s a land rush onto what used to be his ranch. 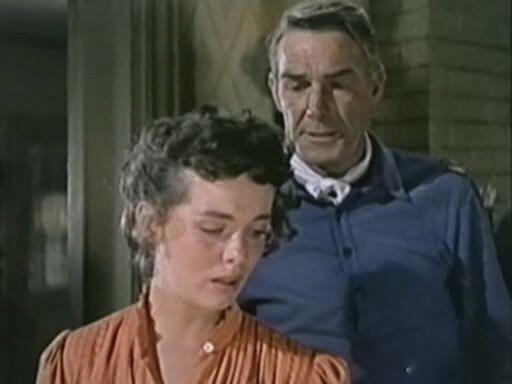 The implication is that Madden and Corinna will get together again, although (a) she hasn’t been a widow long, (b) she’s spent most of the movie hating him, (c) there’s still bad blood with her family, and (d) Reva would be a better match for him if she’s still alive. 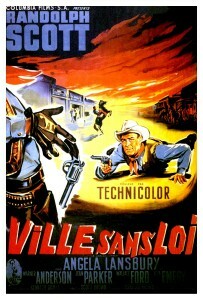 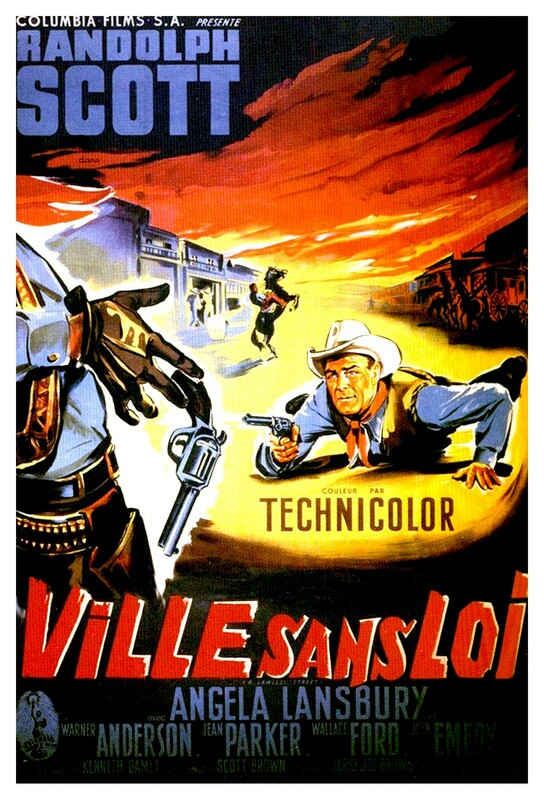 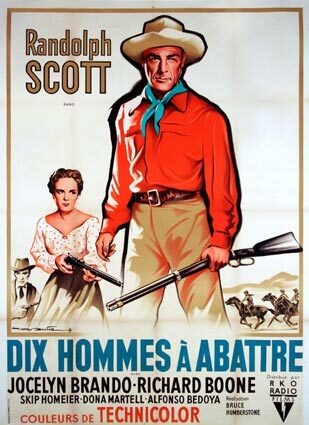 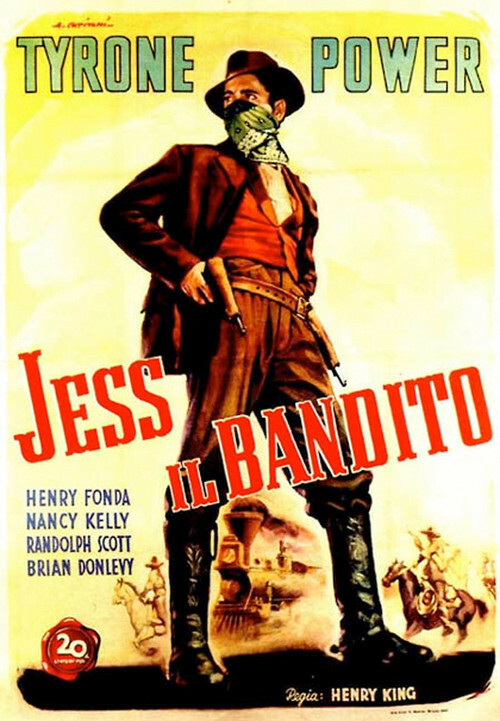 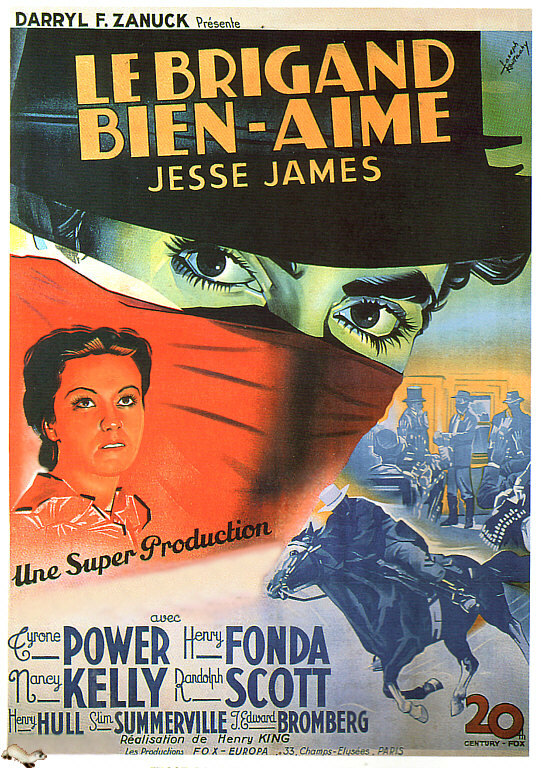 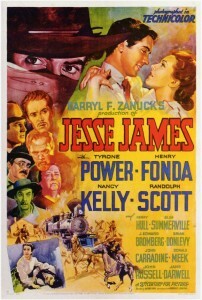 This is kind of an average western for Scott in non-Boetticher material. 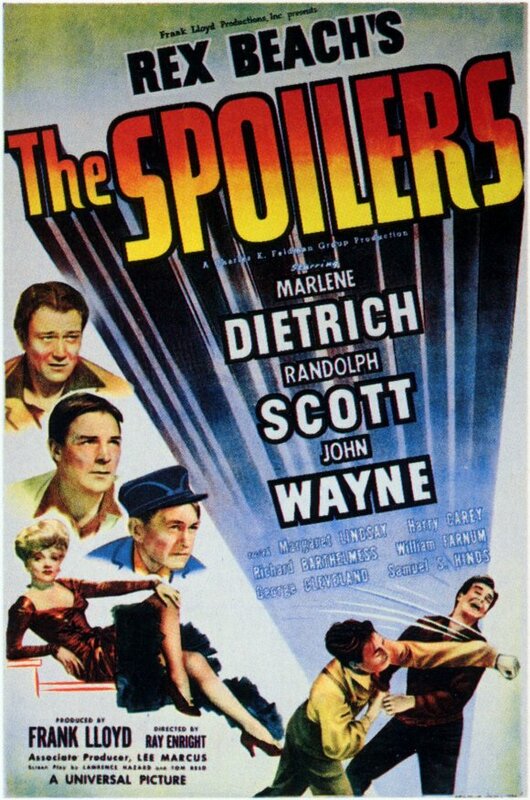 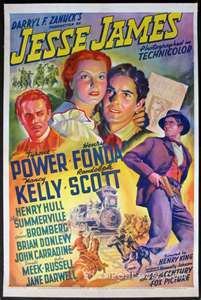 This has some clunky writing, a contrived plot and uncertain relationship motivations, but it does have Randolph Scott, Dorothy Malone and John Dehner. 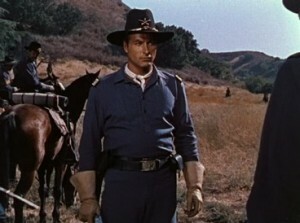 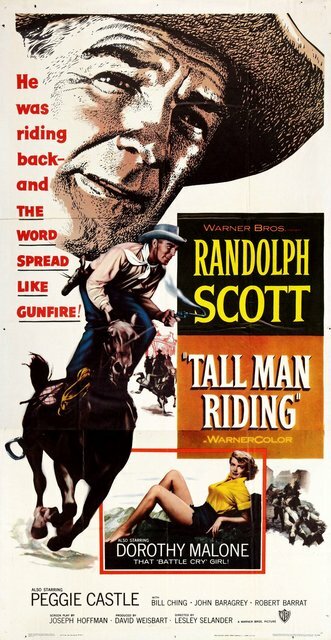 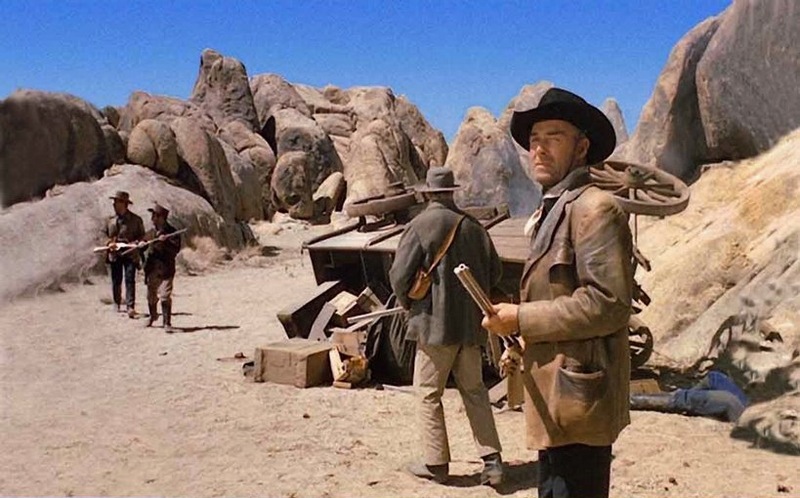 Scott is also riding his beautiful dark palomino Stardust, who shows up in many Scott movies from this period, much like James Stewart’s horse Pie does in the Anthony Mann westerns. This was directed by prolific journeyman director Lesley Selander, although it’s better than some of his other work. 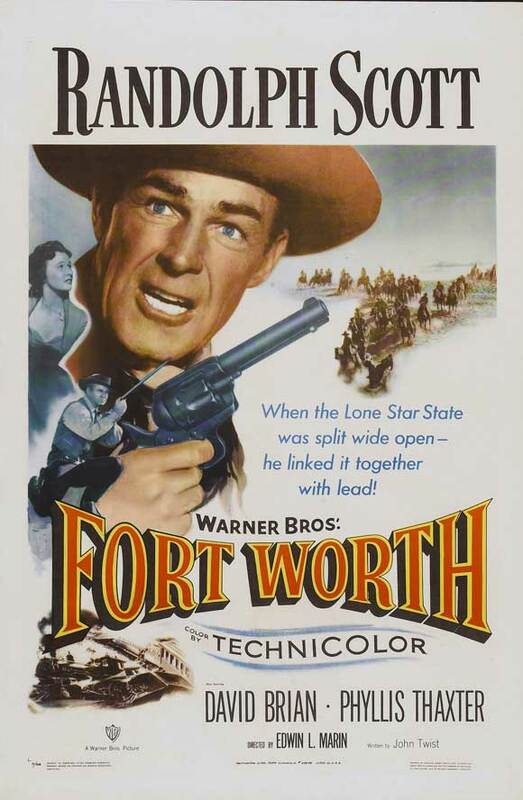 In color, 83 minutes. The Montana landscape here looks a lot like California. 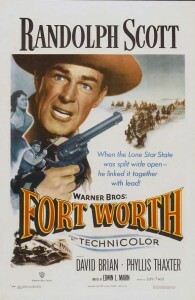 This entry was posted in More Westerns and tagged Dorothy Malone, Lesley Selander, Randolph Scott, Range Wars on August 6, 2014 by Nicholas Chennault.